across the street from us is an empty building that was once home to a sweet little shop. i could say that about so many of the buildings here in this tiny town. it breaks my heart to see all the empty store fronts waiting patiently to be filled up with art or treasures and loved again. the peonies in these photos are from the front yard of that sweet little shop and since there isn't anyone around to enjoy them, i cut a few to bring inside. peonies are full of ants and that kind of grosses me out, but i made sure to check all the little crevices created by the full petals to make sure that i wasn't bringing a family of ants inside with me. cut peonies don't last very long. just saying. the storms lately have been awful and i hope that wherever you are, you and your loved ones are safe and dry. today and for the next few months we're working on a huge project that i'll share in my next post. it's full of choices and decisions and options and our heads are swimming, but in a good and challenging way. just to keep things interesting and to see if you made it to the end of this post, what's the one thing you'd change in your kitchen if you had the ability to do so. Walls and Windows, thats what I would change, I would knock down the walls and add more windows. Our home was built in 1850 and its crooked, I don't think that had levels back then! Everything seems so boxed in. I would love a kitchen where you could see other parts of your home from. I love the kitchen in the movie "It's Complicated", it just seems like you can breathe, where in my home it is like I am suffocating. We bough our current home when my husband was in the military and he was going to Iraq and I was going to be alone with five kids in Germany, so instead of being alone in a country where I couldn't speak the language and didn't know a soul, we though it best to move back to my hometown near family, this house was "do able" the price, the space, the location...etc...but now there is so much I would change,someday we have dreams of what we would truly love in a home and hopefully we will get there! I would paint the kitchen cabinets. We currently live in a rental. The cabinets are good quality and very well built, but the wood finish has a strong pink tone to it. I painted the cabinets in our last home and I loved how they turned out. They went from builder orange oak to a rich black. People couldn't believe they were the same cabinets. We may end up purchasing our current residence, but that is yet to be determined. So, I live with pink kitchen cabinets. My kitchen is very open but if it were possible, I would like to have a little more room to work by the range. I love the big windows I have in the kitchen though. I like the way you've processed your rescued peonies. The counter tops. Wished I would have replaced before I put in the expensive Italian tile that would be detroyed if I replaced the counter tops. Otherwise I love my kitchen that I refurbished about 3 years back. In our new rental, I am happy to have a gas stove and that the room is quite large but none of the finishes are what I would choose if it was my dream kitchen. But I'm learning to make it work! I am anxious to hear what your big project is!!! Sending love and prayers that all will be safe and that the weather calms down soon. oh so happy to find your new space. I would have good quality countertops. Spend the bucks, I say. Can't wait to see what your big project is that you are about to reveal! I want to change everything in my kitchen (thanks, houzz.com) but since you are making me pick just one thing, it would be my counter tops. Now I will be awaiting that next post. Humm? Change in my kitchen: #1 no ants! in the cupboards that rolled out out for easy access. Is that enough? Happy weekend! 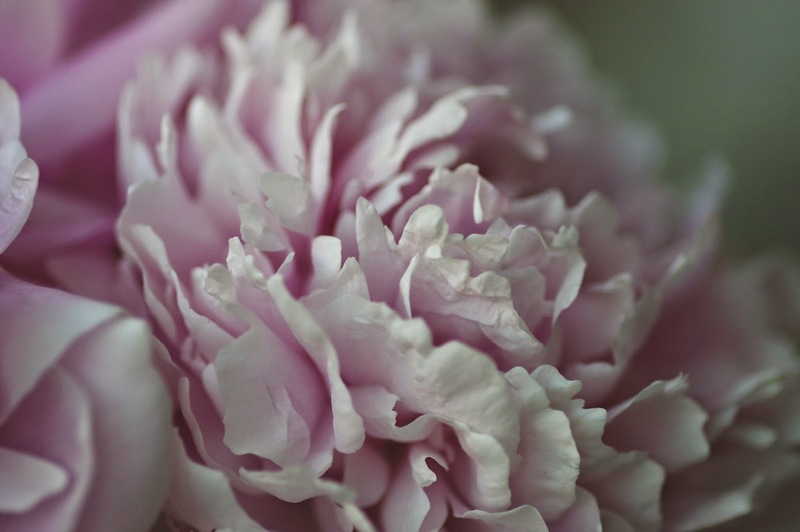 I love peonies, but often find them hard to photograph. Your treatment here is absolutely perfect. The change I would have in my kitchen is that it was in a completely different house, a little bach (cottage) between the woods and the sea, with wood-framed windows and wooden benches and a real, lovely, old wooden kitchen table. 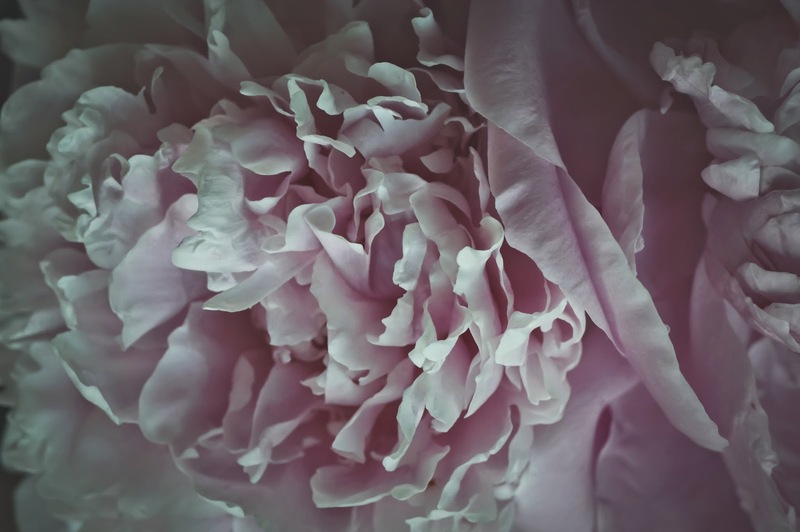 The color and balance in these photos is breathtaking, and the softness is the detail - wow. 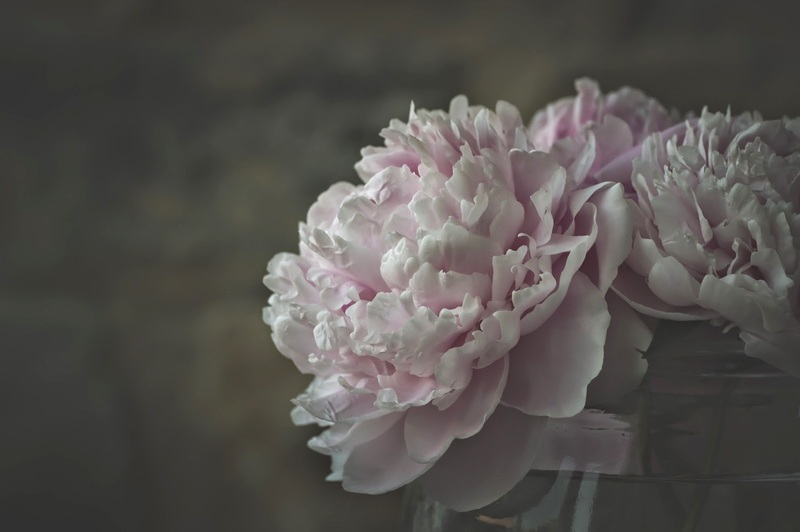 Love love peonies and these photos are so beautiful! Gosh where to start... it's an old kitchen and it all needs some updating but it's a rental so I'm not going to invest. That being said...I'd have to say the flooring only because it NEVER looks clean. We're having the storms, too. And I love the peonies -- they smell so good! I don't often bring them in because of the ants but all of the flowers at Molly and Kevin's wedding were peonies/hydrangeas and roses -- and I brought lots home. Oh, they smell divine! 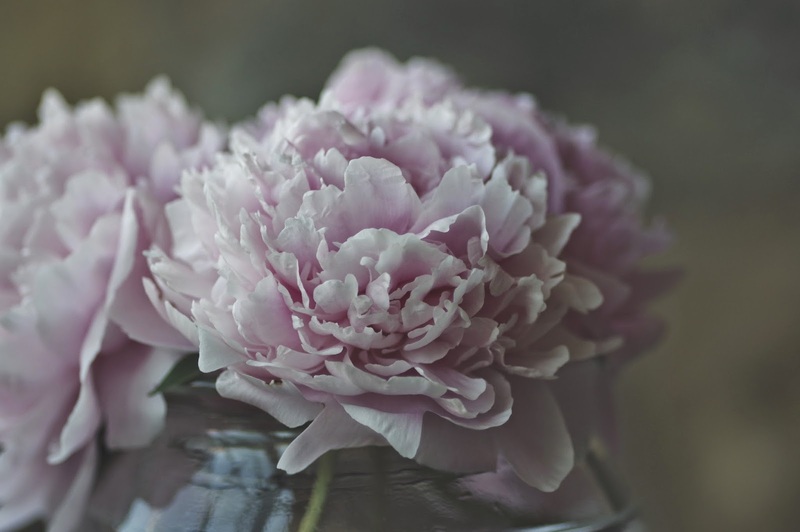 I love peonies.....they remind me of Asia since I saw so many beautiful peonies in Japan and Taiwan. As for kitchens, I would just love to have one, period. I'm still a wanderer, with no home of my own. I'm finishing up six months at my son's in West Sacramento where I've been enjoying my sweet little granddaughter, almost fifteen months, who has FINALLY begun walking. I head back to India the end of July for four months....in time for the heat and monsoon but I have actually missed it. I celebrate my 70th birthday there in October so it may well be my last visit.